The TRUTH about Derma Rollers, which ones to AVOID and which ones are actually WORTH it! Derma roller reviews of the 7 most prominent derma rollers available today. First of all, before I even get into these derma roller reviews I would first like to say welcome to my site, I embrace you with open arms because you and I both have something in common! Bad skin, but let me tell you something you’re still beautiful with your flaws! Furthermore, no one living on this earth is perfect nor will anyone ever be and embracing and accepting our flaws will only improve us as people. BUT that doesn’t mean we can’t try to improve ourselves if there is something we can do about it! I have nothing to gain from this site, this site is simply information. I only wish to help people with my last 10 years of experience using different derma rollers. There isn’t much detailed comprehensive information out there on derma rolling that is presented in ways we all can understand. So I’ve taken it upon myself to help other people not run into some of the same problems and mistakes I did by writing up these derma roller reviews. To me, that is satisfaction enough. I can tell you first-hand derma rollers do work due to my 10 years of experience of derma roller micro needling at home. Will I ever stop? I will not, the results I’ve gotten far exceeded my expectations a hundred times over. All derma rollers are not equal! 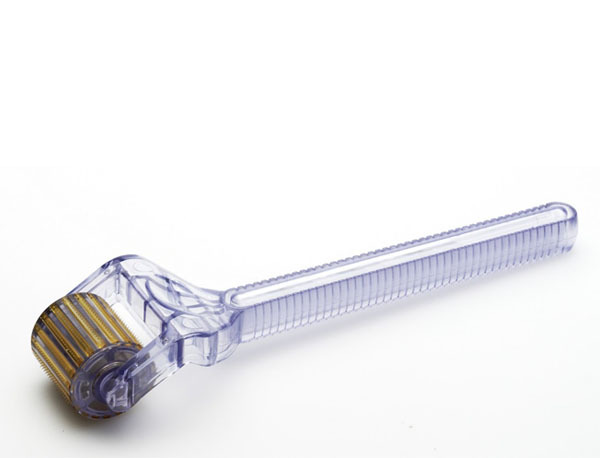 A poorly constructed derma roller can cause severe damage to your skin so please be wary when you are purchasing derma rollers. But I repeat once again please don’t think a derma roller is a derma roller just because they look similar and do the same thing and make the same claims because it’s not TRUE! Seems like most derma rollers available are poorly constructed they use the cheapest materials to maximize their profit. This is good for the greedy businessman and bad for us consumers. I’ve heard horror stories and have some bad experiences myself so please use these reviews as a guide to finding the perfect roller for you. Derma Roller Review #1 (The worst derma roller) STAY AWAY FROM BLANK LABEL NUMBING CREAM COMBOS! 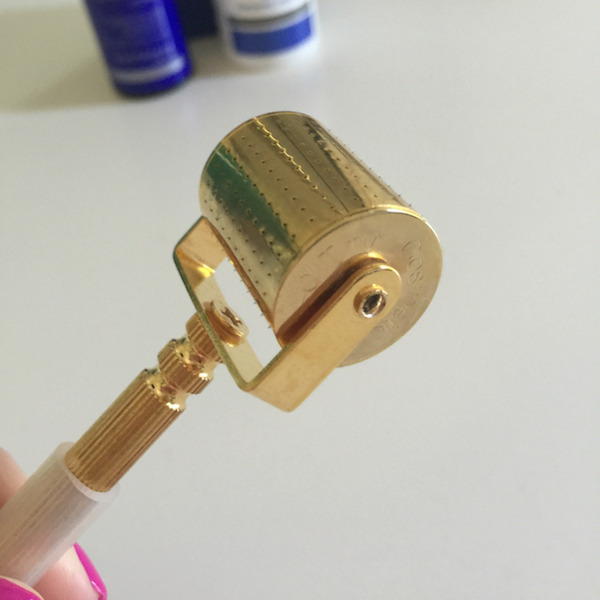 I bought this particular roller for $30 off a derma roller site that is no longer online. I will start this review by saying PLEASE be cautious when buying numbing creams online! These derma roller/numbing cream combos are all over. A lot of these numbing creams come from different countries and are not all regulated. I received a blank bottle which was the numbing cream. I used this cream once and my face turned cherry red and inflamed and not to mention I broke out terribly because of it. I literally considered going to the emergency room it was that bad. Was it an allergic reaction to the numbing cream? Was it even numbing cream? I don’t know, but either way, I shouldn’t have used something that didn’t have a label. Be cautious of buying blank label chemicals who’s to say if these chemicals got mixed up with different chemicals. A GOOD DEAL IS NOT WORTH YOUR HEALTH! The packaging was very poor, came with no instruction or protective case for the derma roller. Was constructed extremely poorly and the needles are far apart. Would I recommend it? Heck no! Let my bad experience be a lesson to you. Stay away from any blank label chemical. One application made me miserable for a couple days and broke me out something horrible like. This derma roller I got on Amazon probably about 3 years ago or so cost me $70 It is definitely well-constructed thing is super heavy feels like 5 pounds to me but then again I’m not the strongest. Had 600 needles at .25mm with an adjustable handle. Also came with a leather travel case as well as a protective case. Would I recommend it? Eh depends, for the average person starting to roll to improve their skin it’s not really necessary to get one so expensive. To me, I would think this is one more for professionals that would be used on multiple people since the metal allows for this one to be sterilized with heat. Would I recommend it? No, 1.0-1.5mm needles are the longest needle you should use at home which is more than sufficient needle length to deal with all scars, wrinkles & cellulite. Not constructed very well at all definitely stay away from this one. I bought this specific roller off eBay. One of the more popular rollers around 2010. I paid $30 for it was definitely constructed well, kinda shaped like a toothbrush. It had 180 surgical needles at 1.0mm. The needles were oddly spread apart compared to my other rollers, and it had a much smaller head. Would I recommend it? Yes, overall it is a good roller built with quality. I paid $45 for this roller. Very nicely constructed, really solid plastic. This one has 180 needles at 0.50mm. Although the handle is rigid it is very comfortable in your hand. It seemed like the needles weren’t all that sharp felt like It was necessary to be a little more aggressive when applying pressure while rolling. Also came with a protective case. Definitely is a good quality roller. Would I recommend it? Yes & no, I definitely think its worth the price based on the quality. The dull needles made it more difficult to roll than other rollers. This roller has many mixed reviews from many people feeling the same way I do. So I think I would chalk this one up to preference. I’d rather have a roller with super sharp needles so I don’t have to be aggressive on my face and spend less time rolling. This one is my personal favorite, the one I use weekly for my regiment. Took me awhile before I stumbled across this one. Would have saved me a lot of money if I found it sooner. It is an all in one kit one of the few available now. This roller has 3 interchangeable heads at lengths of 0.50mm, 1.0mm, 1.5mm needles. The needles are made of the strongest material – titanium very sharp and don’t have to worry about rusting. 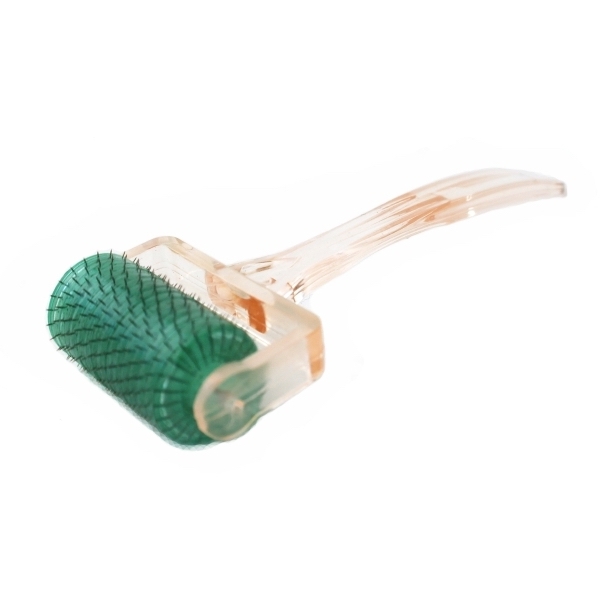 The roller is very sturdy and comfortable in the hand, It is definitely well-built. The needle spacing is perfect on these attachments which makes for really smooth rolling. There is very little discomfort with this roller they really got their needles right on this one. This roller does include a case as well as an individual case for each attachment, switching out attachments is tricky but definitely something you can figure out after a few seconds. 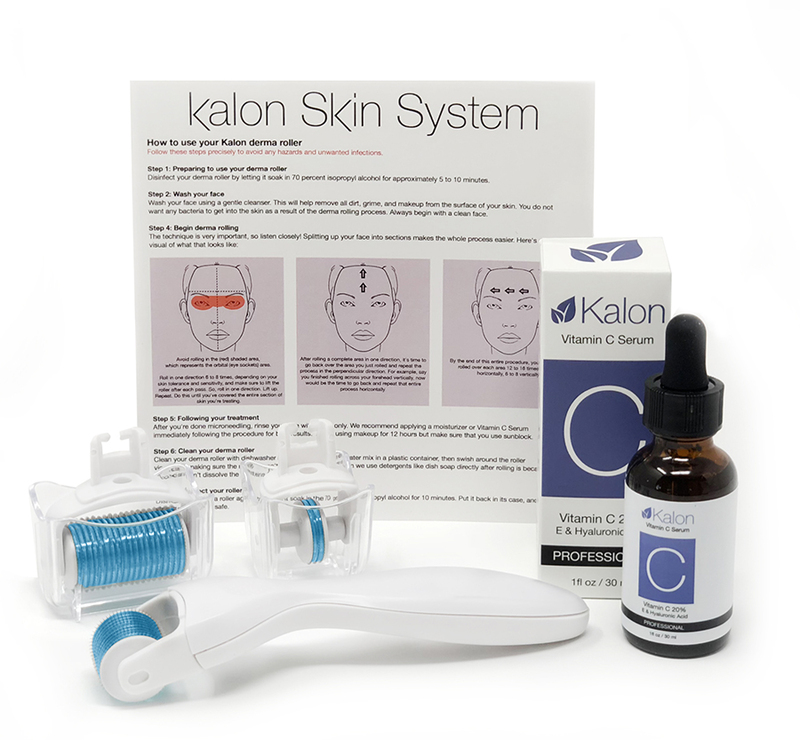 This roller kit also includes a free bottle of vitamin c serum which is a huge plus! Most vitamin c serums cost between $20-40 alone so this bundle has really great value for the price. This is another roller I purchased off eBay for $25.99 I am definitely pleased with this product. Would I recommend it? Yes, whether you’re just starting out or have been rolling for a while this is a great roller to have. It’s very well-built and affordable. 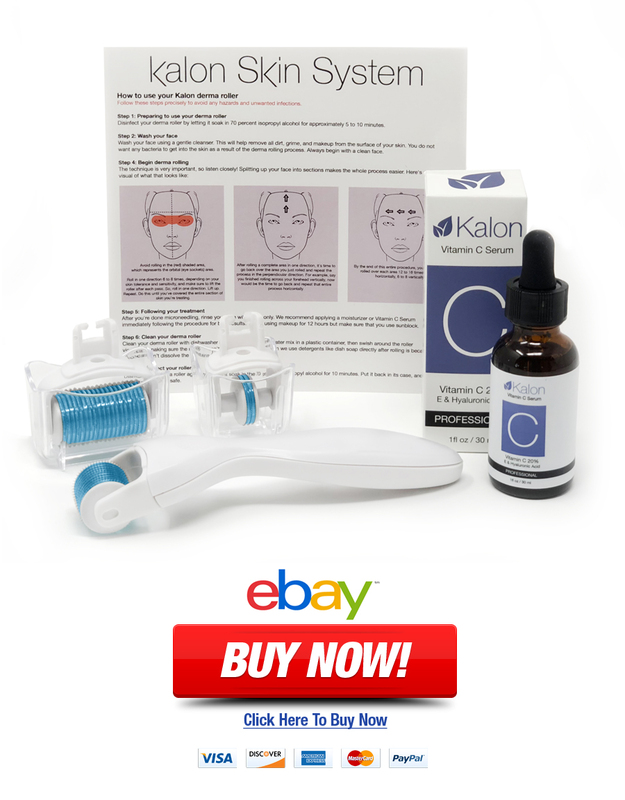 The 3 attachment needle lengths are all you need to improve your skin. Anything more is an unnecessary pain. This is the only roller I now use it’s just very convenient all the way around and you can’t beat the price. I purchased this roller off Groupon for $20. It’s made of low quality plastic and is really flimsy and very light. When you apply any pressure to the roller the handle actually bends a bit. It has 540 titanium needles which are well placed. This roller comes with a clear plastic travel case which comes apart fairly easily if were to have it in your bag or something. Roller doesn’t offer detachable heads, so you would need to buy multiple for different sizes. Would I recommend it? I definitely would not, though $20 is not a lot of money at all you can get a better-constructed derma roller for just a few more bucks. 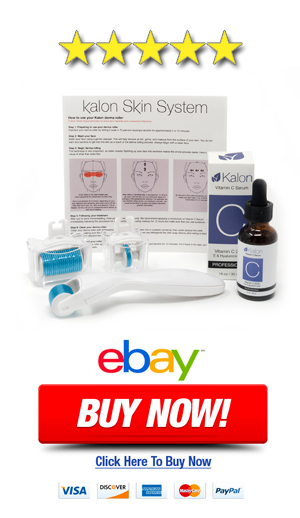 You can purchase the “STRONGSELLS Derma Roller Kit” on eBay. 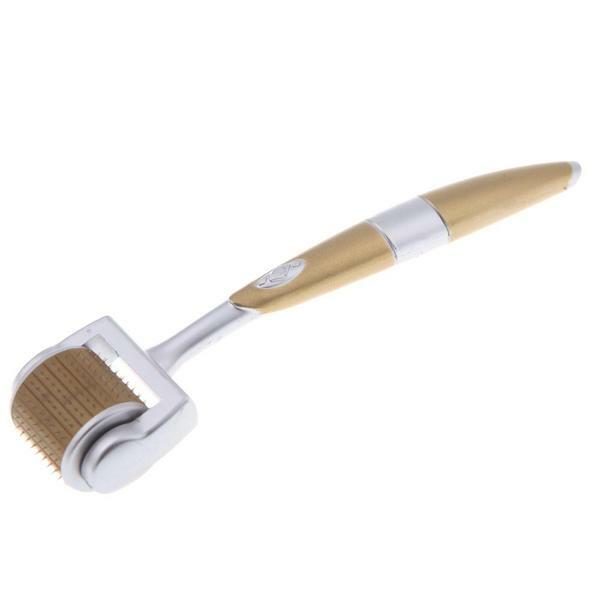 You can click this link here or click on the buy now link below to visit the eBay store to purchase this derma roller. Derma Rolling to Stimulate Beard Growth: Does it Work? Bad Skin Cure is Their Such a Thing?